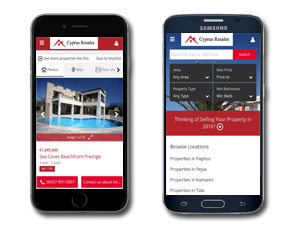 Tombs of the Kings Ave and the harbor area of Kato Paphos really do have everything to offer in terms of location. 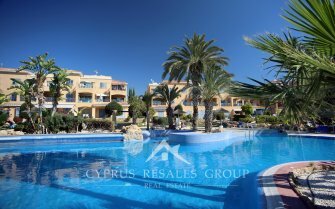 Among the “must visit” locations in Kato Paphos are The Kings Mall and the quaintest of traditional Mediterranean Fishing Harbors that is flanked by a wide range of traditional restaurants and sea food taverns. 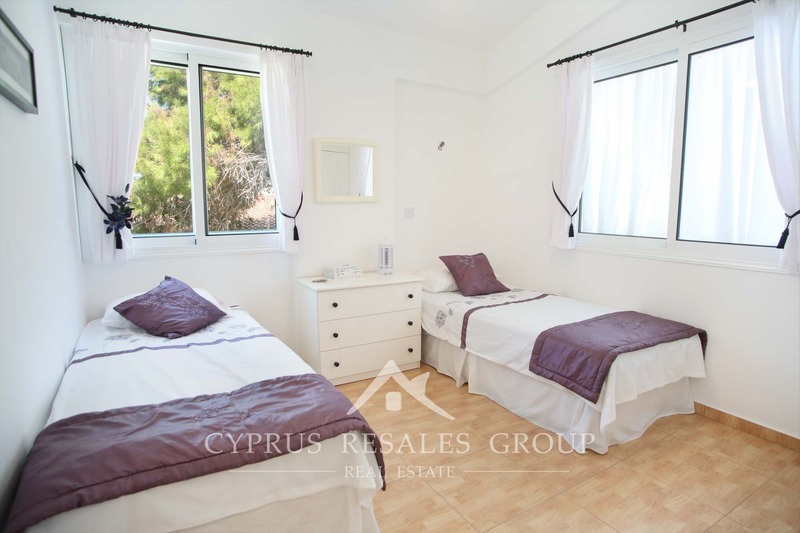 Linked together by newly finished roads and by the picturesque Lighthouse coastal broad-walk these are the two main tourist magnets of coastal Paphos. 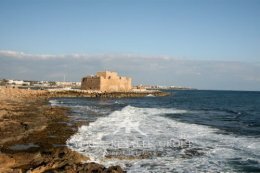 Moreover, the renowned UNESCO world heritage site sits right between the harbor and Tombs of the Kings Ave. 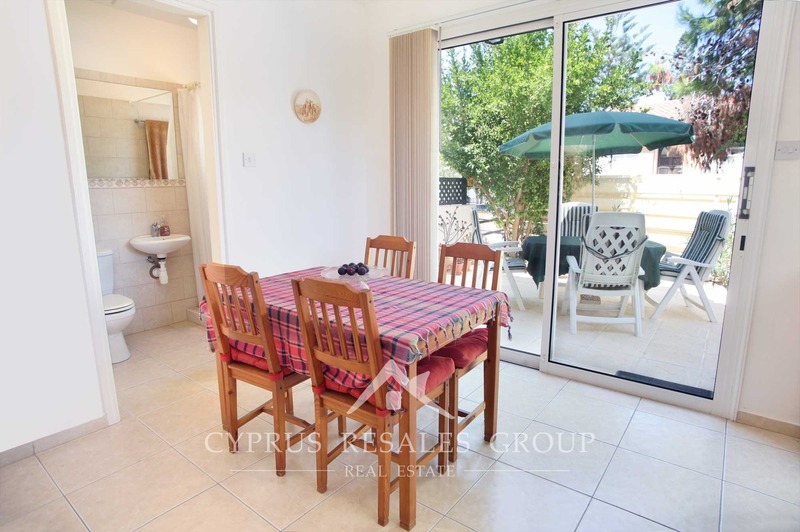 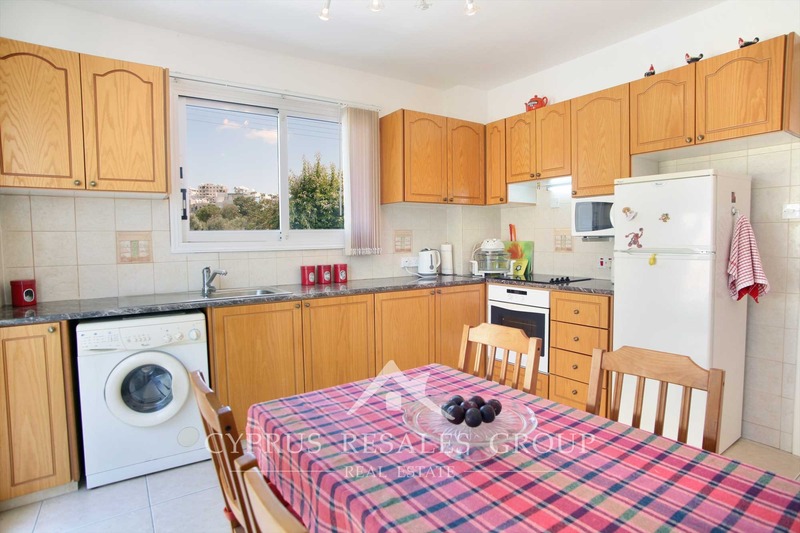 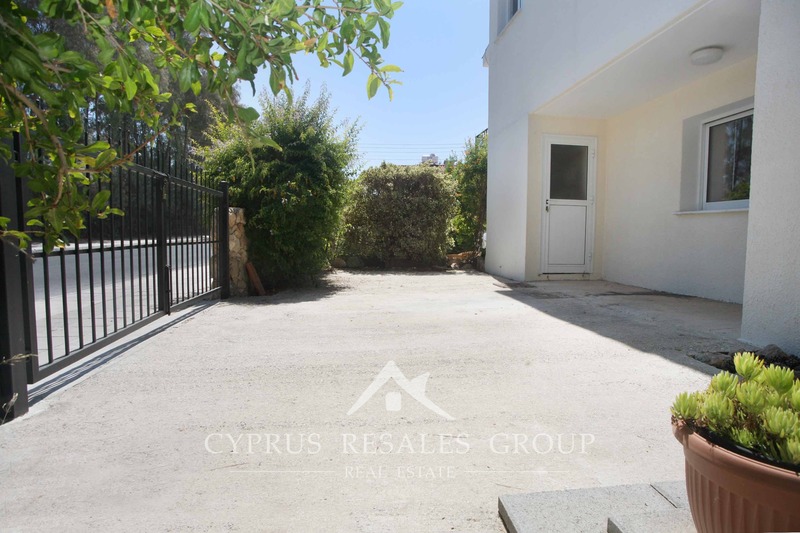 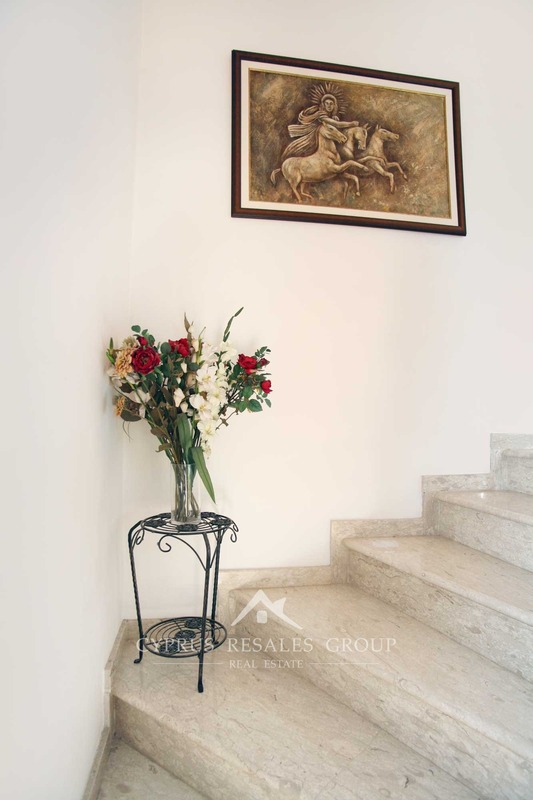 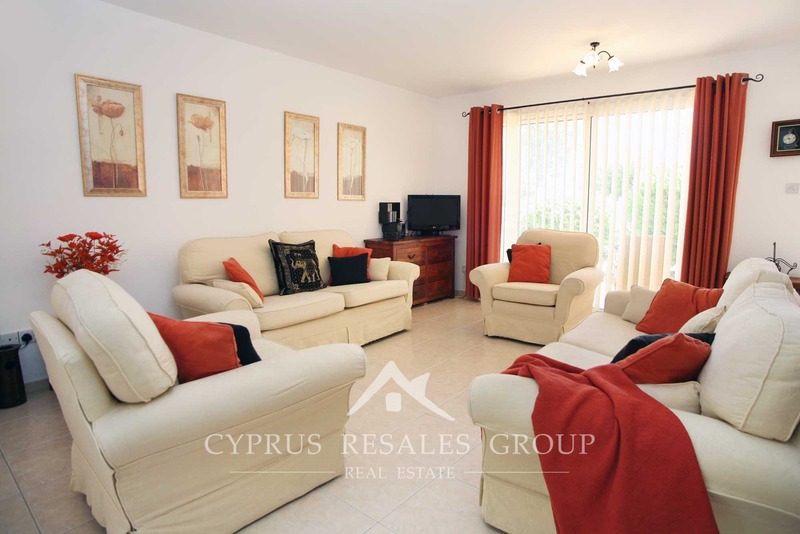 This 3 bedroom end townhouse, situated in the center of Kato Paphos, is only a short and flat 450 meters from Tombs of the Kings Ave, while the Kings Mall is only 700 meters from your front door. 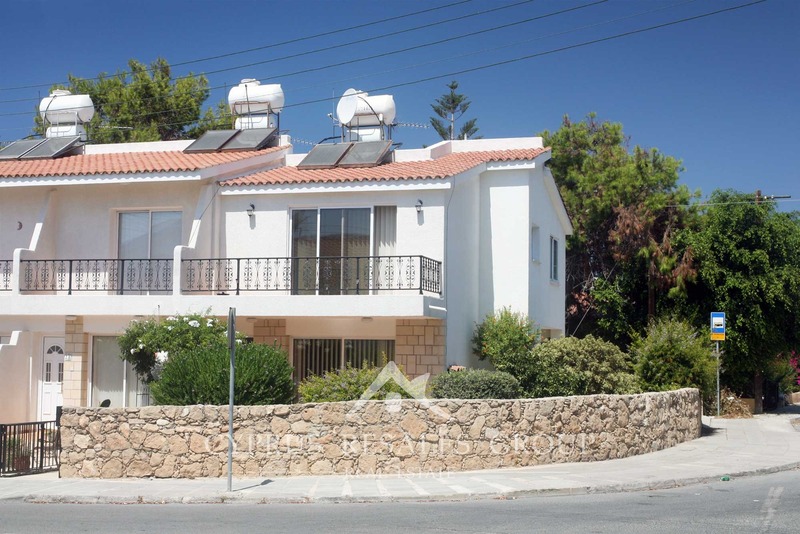 No swimming pool with this excellent end townhouse, but when the Mediterranean Sea is under a kilometer away, who really needs one? 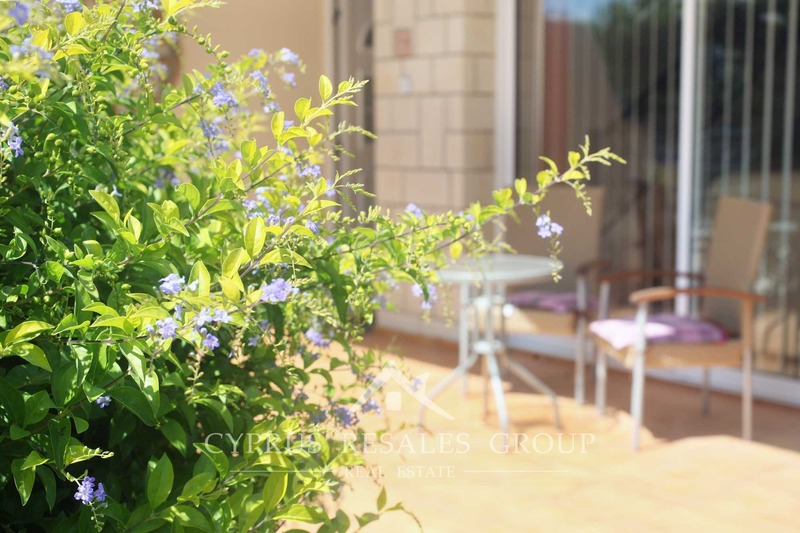 The garden makes itself known even before you open the gate with the aroma of honeysuckle filling the air. 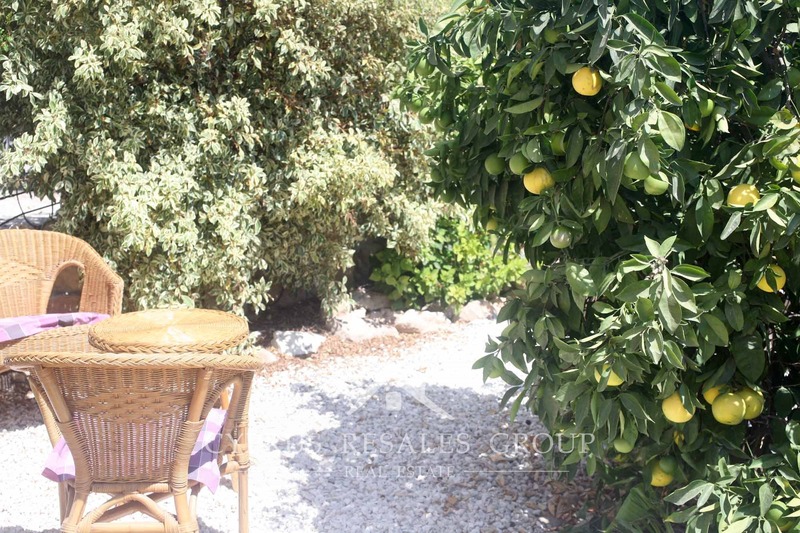 The spacious garden is your own oasis in the city and boasts a wide range of Mediterranean plants and trees. 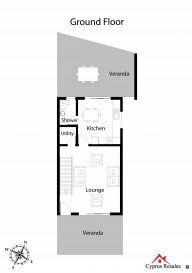 Inside this well-proportioned family home flows very well from room to room. 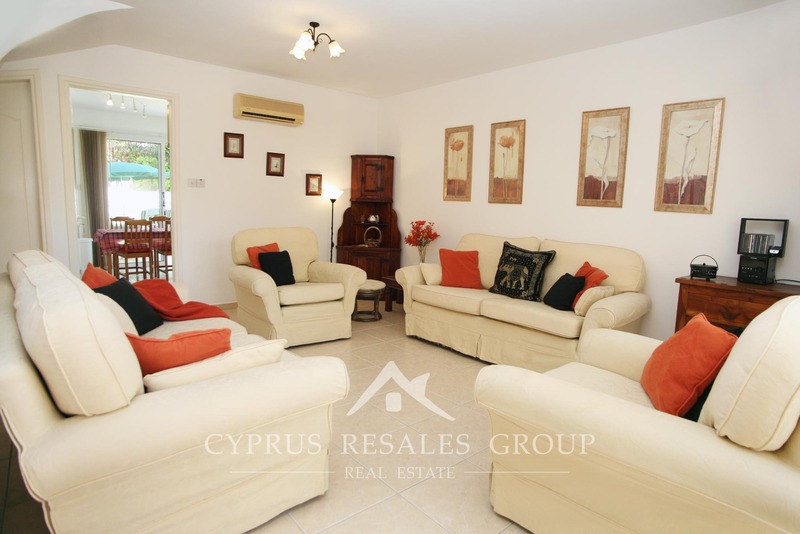 Dispensing with the usual “open plan” arrangement so common in Cyprus here you can eat inside or outdoors while other family members watch TV. 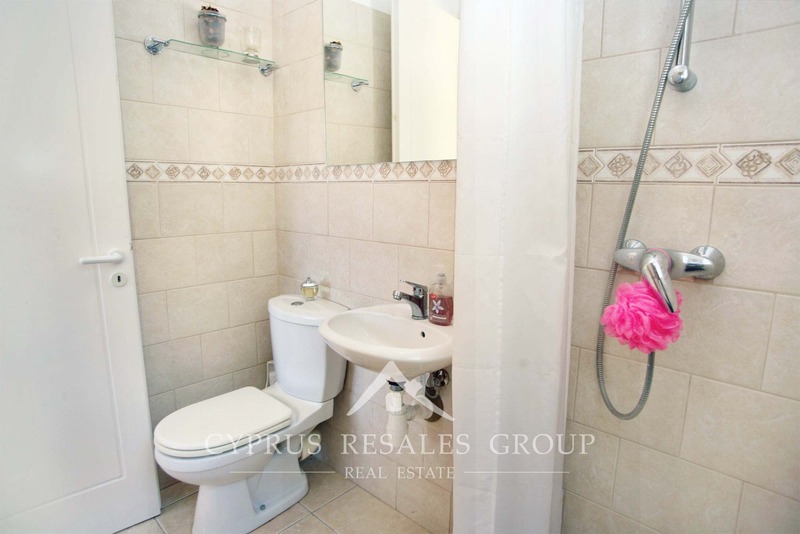 A full size shower room and WC are also located on the ground floor. 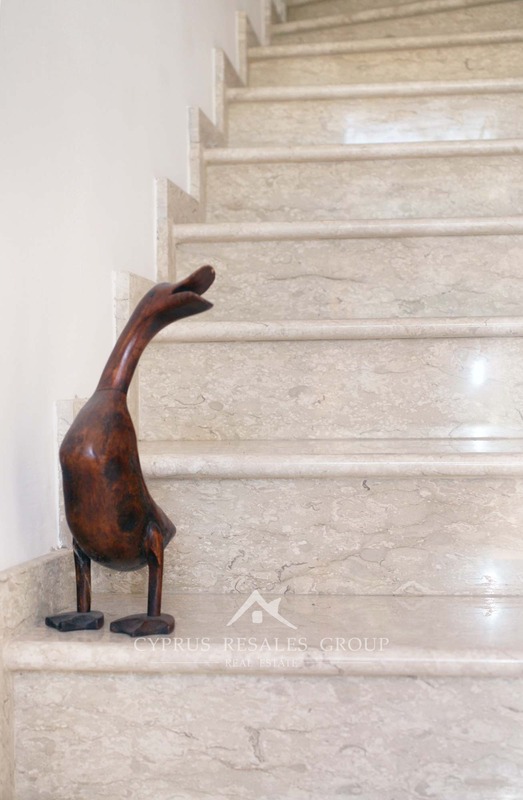 The marble clad staircase turns onto the landing that subsequently has entries to all three double bedrooms and the full size family bathroom. 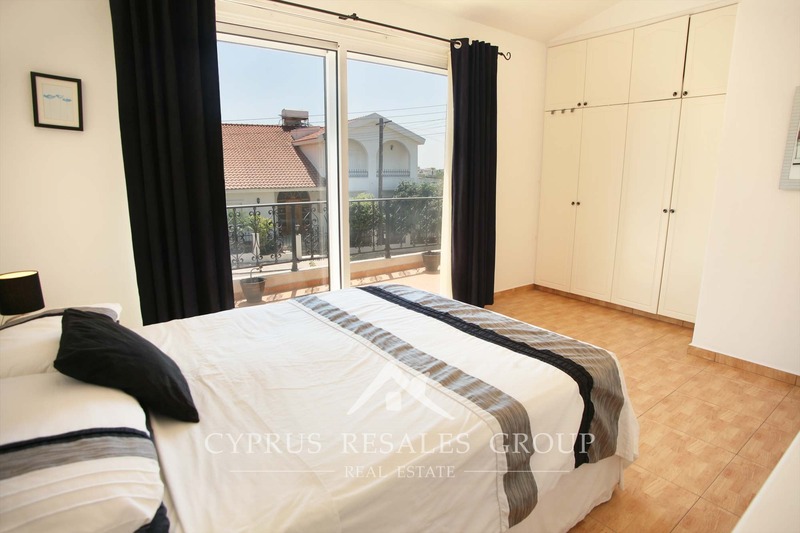 The master bedroom benefits a large south facing private veranda. 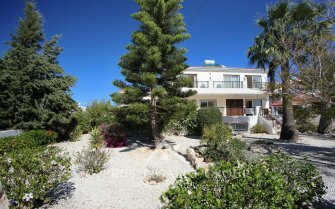 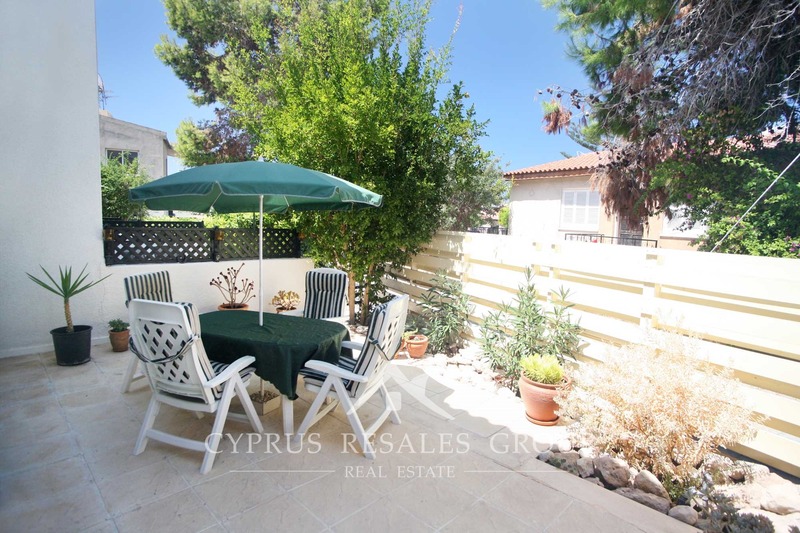 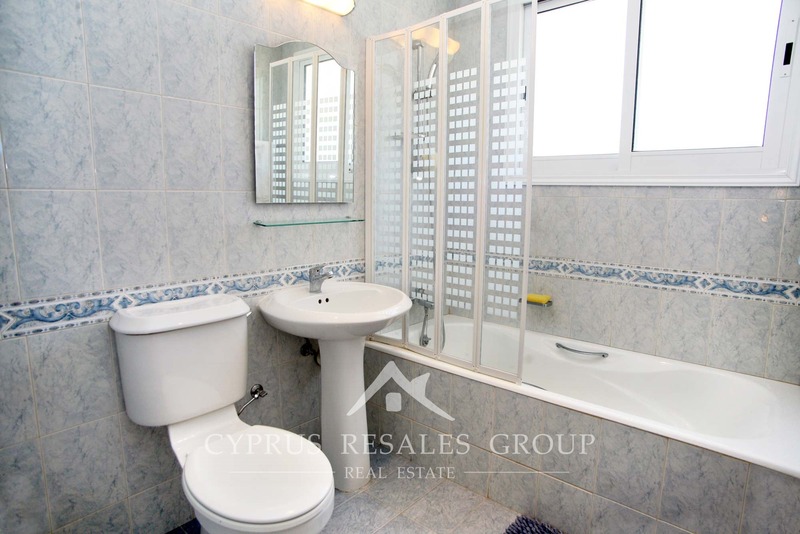 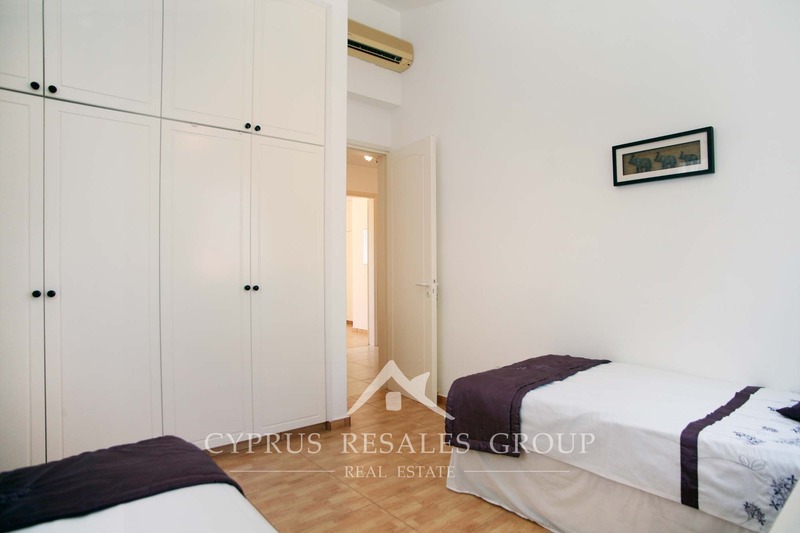 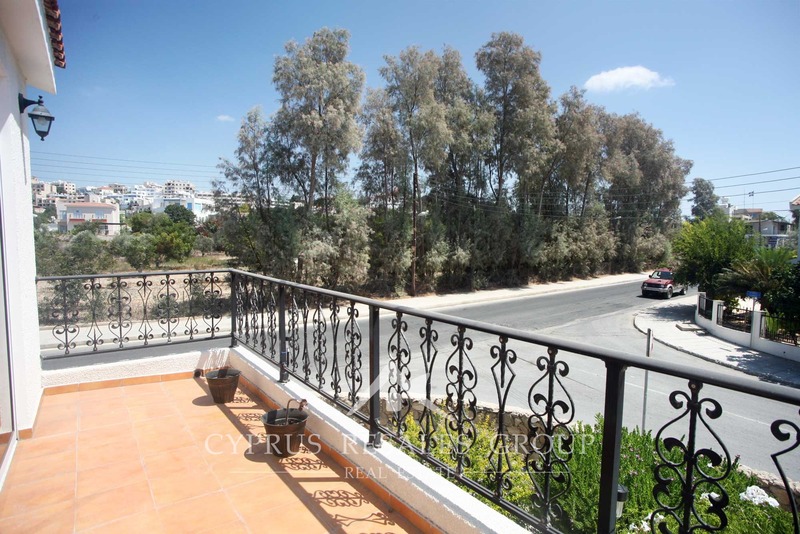 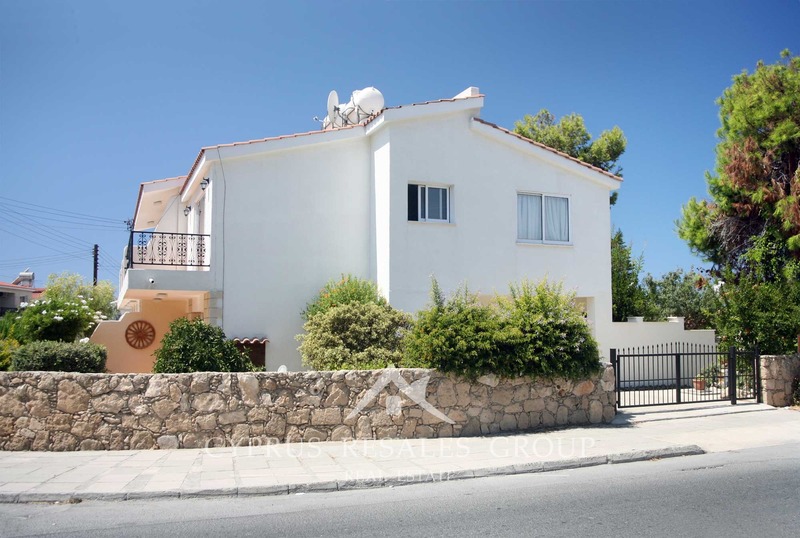 As you expect form «Cyprus Resales» estate agency, this end townhouse comes with FULL TITLE DEEDS. 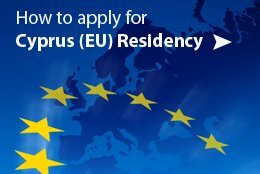 NO COMMON FEES make this a highly desirable option for both permanent residence in the sun or as a lock-up-and-leave holiday home.